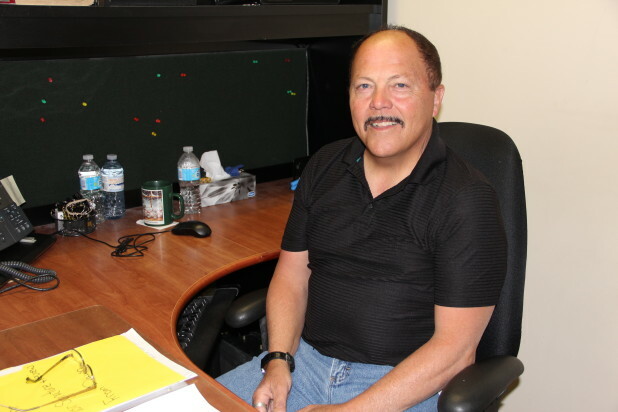 Vern Douglas retires tomorrow (Friday) as Director of Orangeville’s Building & Bylaw Department. It’s a department that he set up when he was hired in 1992 as the Town’s Chief Building Official after spending five years as a county building inspector. Bylaw services were moved to the building department at that time. Vern started out in the trades. Originally from Mississauga (Lakeview area), Vern entered an apprenticeship program with Canadian Pacific Limited, as a steam fitter/pipe fitter, following secondary school. Upon completion of that apprenticeship, he worked as a tradesman for 14 years. During that time he attended Humber College and attained a gas fitter’s licence as well. He joined the Dufferin County Building Department in 1987 as a building inspector, serving as a residential inspector for two years and a commercial/industrial/institutional inspector for three years. Then he joined the Town of Orangeville. In the early years of his career with the Town, the department operated out of a construction trailer located in the parking lot at the rear of temporary Town administration buildings on Armstrong Street while the addition and restoration work was being undertaken at Town Hall at 87 Broadway. Over the years the province has continued to update the Ministry of Housing’s certification program which requires ongoing training for building inspectors to maintain their certification. “I have enjoyed the challenges and rewards during my tenure with the Town,” Vern said. “I will miss the great staff of the Building & Bylaw Department and the friendship that I have with each and every one of them. Vern and wife Mary moved to Orangeville in 1975 when they purchased their first home. The population was 7,000 at the time. They raised three children here – Donna, Rob and Carrie – who all still live in this area. Vern and Mary have six grandchildren. Retirement will have many faces. First, there’s quality time to enjoy with their children and grandchildren. Second, there’s time to catch up on chores around the house. Then there’s some travel plans – throughout Ontario, the east coast of Canada, and a southern destination in the winter. He has yet to decide whether to put public service behind him totally.